Does Syria Need a New Constitution? A provisional constitution might have its benefits, but it can also distort the legal framework in the absence of stability guarantees. The 1950 Constitution is not an alternative, although some of its provisions can be used to strengthen Syria’s legislative authority. What is the balance that could help Syria resume stable development based on a new social contract between the government and society? The defeat of Daesh (Islamic State, prohibited in Russia) in Syria has engendered second-track international expert discussions on Syria’s post-war format. Although the terrorist threat has not been rooted out yet (terrorists from the former Jabhat al-Nusra, an offspring of al-Qaeda, both of which are prohibited in Russia, are holding ground in Idlib), expert discussions of government and political reforms together with economic rehabilitation and security guarantees should help end the violence and promote a political process led by the Syrians themselves. However, no conflict settlement is viable without compromises. The intra-Syrian talks are based on international law, in particular, UN Security Council Resolution 2254. This resolution offers a roadmap, which all influential international and regional actors have accepted as a guide to action and which provides guidelines for the conflicting sides and the UN Secretary-General’s Special Envoy for Syria Staffan de Mistura. However, the Syrian government and the opposition have not yet got down to discussing the substantive provisions of the constitution despite de Mistura’s efforts to promote direct talks between them. There are major differences regarding the sequence of steps during the transition period, but the parties are coming to see that it should begin with the constitution. De Mistura’s team is focused on these issues. Russia has proposed a draft constitution for the Syrians’ consideration, because it believes that the talks will never gain traction until the conflicting sides agree on the initial document that will provide the basis for compromise. Syria’s post-war government format and its legitimization through the adoption of the constitution are the main elements of the political process and the focus of differences in Syria and of the conflict of interest between external forces. There are dramatic differences in Syria over the contents of the constitution and the procedure for its adoption. Damascus has even questioned the need for a new constitution, suggesting amendments to the 2012 Constitution. The opposition, although it cannot agree on many other issues, is in agreement on the need for a new constitution. Experts have proposed adopting a provisional constitution or a constitutional declaration, which would clearly set out the deadlines and the procedure for adopting a permanent constitution. A transitional period is necessary to restore public trust and lay the groundwork for a national consensus on the draft of a permanent constitution. The proponents of this idea believe that the provisional constitution should include issues with a limited timespan that are usually not regulated by permanent constitutions. In the case of Syria, these issues comprise the rights of refugees and displaced persons, citizenship and identification papers, the dissolution of militias and their social reintegration, as well as the settlement of property disputes rooted in the conflict. Unlike the previous permanent constitutions, the 2012 constitution was not drafted by the Constituent Assembly or the legally elected parliament. The constitution gave the head of state more powers than in any other presidential republic. The constitution downgraded the role of the government. The constitution stipulated that workers and peasants shall hold 50 percent of seats in parliament, thereby limiting the ability of the other social groups to influence lawmaking and take part in social and political processes in the country. The constitution violated the principle of judicial independence. All members of the court are to be appointed by the Supreme Judicial Council, which is presided over by the president. The constitution has no provisions on the rights of ethnic minorities other than a general formula saying that “the citizens are equal before the law in their rights and duties.” The very name of the country – the Syrian Arab Republic –was rejected by the Kurds. The local people’s councils are tightly controlled by the governors, who are appointed by the president, and the government. Faced with street protests that could develop into a civil war, the Syrian authorities combined the use of force with the concessions they had rejected for many previous decades. On October 16, 2011, the president formed a commission that drafted a new constitution, which was approved at a referendum on February 26, 2012. The 2012 Constitution differs from the 1973 Constitution considerably, primarily in its ideology. The biggest change was the cancellation of the leading role of the Baath Party and the establishment of a multiparty system. Clause 1 of Article 8 reads: “The political system of the state shall be based on the principle of political pluralism.” The 2012 Constitution prohibits any political activity and the creation of political parties on the basis of religious, sectarian, racial, regional, class-based, professional, or gender discrimination. The Constitution guarantees the protection of cultural diversity of all classes and groups of the Syrian society. The provisions on political rights and freedoms have been expanded to include the citizens’ right to assemble, hold peaceful demonstrations and strikes, as well as to form public associations and independent trade unions (Articles 43-45). 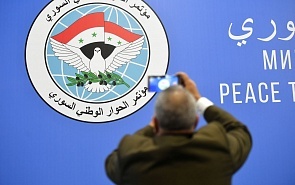 However, these changes, although they were very important for Syria’s democratic development, failed to ease internal tensions amid external interference. The conflict entered the military phase. On the other hand, the Syrian authorities’ failure to recognize the need for change and their armed response to an initially peaceful demand for political reforms has encouraged the people to question their government’s competence. The 10-year war in Algeria was provoked by premature political reforms, whereas Syria is a classic example of what happens when the authorities try to maintain a political system that has exhausted its potential. Syrian leaders failed to adequately react to the rapid changes in the region or to correctly assess the reasons for the profound global changes in the new period of world history. The opposition, which is divided over many other issues, is in agreement regarding its objections to the provisions of the 2012 Constitution and its adoption procedure. The opposition believes that the constitution, which was adopted at a referendum held amid a growing civil conflict, cannot be considered a document of national consensus. The Constitutional Commission was established, or rather appointed under an executive order by the president. The draft of the constitution was not offered for public discussion, which was hardly possible amid armed clashes. Other arguments concern the absence of a clear provision on the division of powers. The opposition also demands that presidential powers be limited (the 2012 Constitution hardly differ in this regard from the previous document), that the local people’s councils and ethnic minorities be given broader rights (decentralization), and that the judicial branch be truly independent. In fact, the ongoing indirect talks between the government and the opposition are focused on fundamental issues such as the future form of government and the political system. This is not a case of “the winner takes all.” Moreover, this approach is fraught with new conflicts, because the possibility of a military scenario has greatly diminished with the defeat of Daesh, as the recent military escalation in the northern and eastern provinces has shown. Decentralization has already happened in Syria, to a degree. The local self-governments, which have de-facto been created in the north and east of the country, can be used for national reconciliation on the ground if the government and the opposition reach a compromise. But how far can decentralization go before it threatens the unity and territorial integrity of Syria? A federative system would not be viable: no attempt at establishing a federation has succeeded in the Arab world, as evidenced by the experience of Iraq and Yemen. The best solution would be to find a form of administrative and cultural autonomy that will meet the requirements of national and ethnic minorities and also include safeguards against territorial disintegration. Compromises regarding the form of government can be based on the history of Syria’s constitutional development, including the positive and negative elements of the parliamentary system of government. All Arab states, although they may have different forms of government, have a strong supreme ruler. Even the Arab Spring revolutions did not change this tradition. The developments in Iraq have shown that overthrowing a government that was based on a one-party political system for years leads to a collapse of the country’s political system and the vital elements of power. Filling the vacuum of power is much more difficult than winning a military victory. The Western parliamentary system of government does not go together with the historical traditions of Arab societies, especially in such multiethnic and multi-religious states as Syria or Iraq. In the case of Iraq, the Western parliamentary system brought the Shia majority to power and resulted in the autocratic rule of Prime Minister Nouri al-Maliki, which provoked an armed Sunni resistance. In Syria, society will hardly accept a centralized, let alone personified, power after a seven-year civil war. Informal discussions of these issues have shown that the best way to promote Syria’s constitutional development would be to use a substantially amended version of the 2012 Constitution. According to experts, there are positive elements in the adoption of a provisional constitution (declaration), as it was done in Egypt for the transition period, but the absence of stability safeguards can also create a gap in the country’s legal framework. The 1950 Constitution is not an acceptable compromise alternative, although some of its provisions could be borrowed to strengthen the legislative branch under a new division of powers. The office of the UN Secretary-General’s Special Envoy for Syria will have to work very hard to streamline the existing and future proposals regarding the draft constitution and to coordinate the sequence of steps towards a political settlement. The restoration of the pre-2011 status quo is impossible, just as the reforms that have been proposed by the radical Islamic opposition. The task is to find a balance of compromise that will return Syria to the path of sustainable development on the basis of a new social contract between the government and society.